There are numerous IoT use cases in different industries, with common categories like predictive maintenance, connected vehicles, anomaly detection, asset monitoring, and many others. For example, in water treatment facilities in the state of California, IoT devices can be installed in water pumps to measure horse power, flow rate, and electric usage of the water pumps. The events emitted from these devices get sent to an IoT hub every 30 seconds for aggregation and processing. A water treatment facility company could build a dashboard to monitor the water pumps and build notifications to alert the maintenance team when the event data is beyond a certain threshold. They could then alert the maintenance team to repair the water pump if the flow rate is dangerously low. This is a very typical proactive maintenance IoT use case. 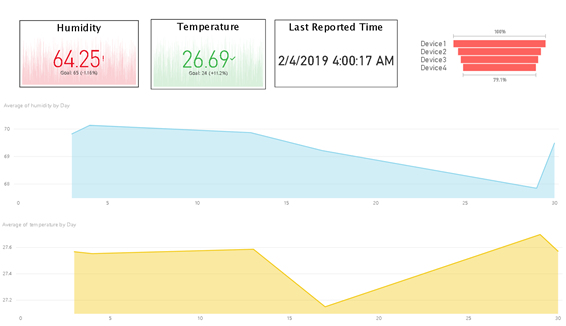 In this implementation, we use Azure Database for PostgreSQL with the plv8 extension as a persistent layer for IoT telemetry stream for storage, analytics, and reporting. The high-speed streaming data is first loaded into the PostgreSQL database (master server) as a persistent layer. The master server is used for high speed data ingestion and the read replicas are leveraged for reporting and downstream data processing to take data-driven actions. You can leverage the Azure IoT Hub as the event processing hub and Azure Function to trigger the processing steps and extract what’s needed from emitted events to store them in Azure Database for PostgreSQL. In this post, we’ll walk through the high-level implementation to get you started. Our GitHub repository has sample applications and a detailed QuickStart tutorial with step-by-step instructions for implementing the solution below. The QuickStart uses Node.js applications to send telemetry to the IoT Hub. In this implementation, the IoT sensor simulators are constantly emitting temperature and humidity data back to the cloud. The first step would be creating an Azure IoT Hub in the Azure portal using these instructions. Next, you’ll want to register the device name in the IoT Hub so that the IoT Hub can receive and process the telemetry from the registered devices. In GitHub, you will see sample scripts to register the device using CLI and export the IoT Hub service connection string. Provision an Azure Database for PostgreSQL with the appropriate size. You can use the Azure portal or the Azure CLI to provision the Azure Database for PostgreSQL. In the database, you will enable the plv8 extension and create a sample plv8 function that’s useful for querying to extract a temperature column from the JSON documents. You can use the JSON table to store the IoT telemetry data. You can locate the script to create a database and table and enable the plv8 extension in GitHub. We recommend that you try and implement this solution using the sample application in our GitHub repository. In GitHub, you will find steps on running the node.js application to simulate the generation of event data, creating an IoT Hub with device registration, sending the event data to the IoT Hub, deploying Azure function to extract the data from JSON message, and inserting it in Azure Database for PostgreSQL. At the end of implementing all the steps in GitHub, you will be able to query and analyze the data using reporting tools like Power BI that allow you to build real-time dashboards as shown below. We hope that you enjoy working with the latest features and functionality available in our Azure Database Service for PostgreSQL. Be sure to share your feedback via User Voice for PostgreSQL. If you need any help or have questions, please check out the Azure Database for PostgreSQL documentation. Special thanks to Qingqing Yuan, Bassu Hiremath, Parikshit Savjani, Anitah Cantele, and Rachel Agyemang for their contributions to this post.